Planning is one of the fundamental functions of any organization and the highest level of planning is developing a strategic plan to outline a long-term vision for the business. The strategic plan is a roadmap created by the company’s leaders for its future goals and details of which they want to achieve those goals. In layman's terms, the success of the business is a continuous journey and a strategic plan is the roadmap of this journey. Strategic planning is crucial for any organization because it provides a sense of direction and outlines achievable goals. Let's go through these chapters in detail. You may want to complete your executive summary of the strategic plan last because this section basically sums up all the other sections. The main reason the executive summary is important because it helps investors, employees, and advisors to quickly comprehend and support your plan document. The company mission statement explains what your company is trying to accomplish. It may seem insignificant, but actually, it’s not. It aids in two ways, first, the mission statement guides your employees to make the decisions that are in line with the company’s goal, and second, it’s inspiring external parties such as partners, investors, and customers to take the actions that you want. 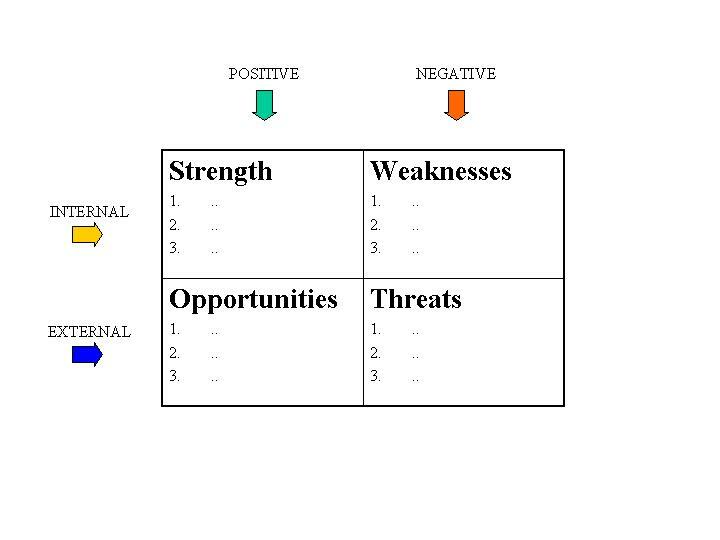 The SWOT analysis, or analysis of strengths, weaknesses, opportunities, and threats, helps you to determine and choose the best opportunities to pursue to accomplish your business growth goals. A strategic plan is to chart out the best way to achieve the desired goals. Strategies were originally planned to win wars in history and the practice has been only extended to business goals today. A king wanting to conquer a neighboring country will first estimate his Strength, say a bigger army backed by expert marksmen and cavalry, than the neighbor. Then he may assess his Weakness, maybe his army, though young, do not have any fighting experience and his marksmen are old and cannot stand a one-to-one fight. His next question will be when to attack and sudden illness of the neighboring king could throw an Opportunity to make his move. What if any other king attacks his country when he goes out to war will be a Threat. So to conquer his neighbor, the king will draw a Strategic Plan considering his Strength to utilize an Opportunity, reducing his Weakness and securing his country from any Threat. Similarly, all businesses to achieve their Goals should prepare a Strategic Plan only after considering their Strengths, Weaknesses, Opportunities, and Threats, which in short known as SWOT Analysis. While Strength and Opportunity would push you towards your Goals, Weakness and Threat may derail your plans. SWOTs may be common for many industries like Economy, War etc., common for many businesses in one industry like Skilled Labor in IT industry (Weakness) and may be specific to each business like similar service (Threat) coming up down the road. A complete SWOT Analysis will consider and list all possible SWOTs for any business while preparing a Strategic Plan. With Vision and Mission defined, Strengths, Weaknesses, Opportunities, and Threats identified, now it is necessary to list the Goals of the organization. Goals are targets set in measurable terms such that employees know what they need to achieve. In the automobile industry, the number of cars to be produced or sold per month could be a goal. In a service industry like insurance, the number of new policies signed could be a goal, and for an internet service provider, the number of new connections booked could be a goal. Setting goals will help employees to work towards this and also assess themselves as to where they stand in achieving the goals at any time. If 100 units are to be produced in a month a Production Supervisor will check to find if he had produced at least 50 units by the 15th day of the month. If he is falling back he will take the necessary steps to speed up production to achieve the monthly target. Goals also help Management to ensure that the activities of the organization are moving in the right direction and all the resources of the organization are properly used towards achieving the goals set. The 3Ms, men, money, and materials are to be optimally used to reach goals and standards when setting help Managements to compare performance with such set standards periodically to arrest any adverse deviations. Goals have to be realistic and in line with the hotel’s long-term plans. SMART Goals are Specific, Measurable, Attainable, Realistic and Timely. After goals are set, plans are prepared for a period of 3 to 5 years and broken down into annual plans for better monitoring. A shortcoming in performance in any year is made good in the subsequent year to see that long-term goals are achieved. In business "if you can’t measure it, you can’t manage it". Having set Goals and Targets in Strategic Planning exercise, it’s time to identify Key Performance Indicators to assess the quality of performance. Key Performance Indicator is a pointer that shows how well or efficiently an activity has been performed. Key factors that are crucial to the success of any activity are measured or evaluated and indicated to assess performance. In the airline industry, the number of passengers transported per flight is a key performance indicator. In a manufacturing industry number of units produced per assembly line is a key performance indicator. In a hotel industry number of rooms occupied over the number of rooms available is a key performance indicator. In a hospital number of inpatients treated per bed is a key performance indicator. Every business has its own set of key performance indicators that when measured show the success of the business. By constantly and periodically monitoring key performance indicators, the management can gauge the health of the business and take necessary to steps to improve performance. Key performance indicators help comparison of performance with competing entities in the same business. In a freight forwarding business, average revenue per shipment may be a key performance indicator and freight forwarding companies can compare this indicator with competing companies and with the overall industry indicator to find where they stand. Key performance indicators are also used to assess the utilization of the company’s resources. To assess utilization of sales team, sales generated per employee may be a key performance indicator. While this may be a good KPI for a sales or retail agency whose main activity is selling, revenue per employee may be a good KPI for a complete organization like an airline, hotel, hospital or manufacturing unit. "Customer is King" goes the saying. Every businessman should try to identify his customers to succeed in business. The entire marketing effort is set in the right direction only after identifying the customer. The best salesman is one who is able to sell a refrigerator to an Eskimo, yes theoretically, but to a salesman who is selling a refrigerator, an Eskimo is not a customer. For him, customers are in hot zones whose need is to preserve their food and other related goods from getting spoiled. Here again, all refrigerators are not the same as some may serve domestic purposes and some commercial purposes. Domestic refrigerators are sold to households while commercial refrigerators are sold to institutions. Depending on whether his customer is Household or Institution, a suitable marketing plan is to be drawn up after more specific study of the customer’s detailed refrigeration requirements. In this section of the strategic plan, you pinpoint the wants and needs of each of the targeted customer groups. This is crucial because it helps you focus your marketing efforts and getting a higher return on advertising expenditures. With more direct exposure to customer wants and needs, you will charm them better. The industry analysis doesn’t have to be an all-inclusive report on what’s going on in the company market. However, to identify new opportunities for growth, you should conduct a thorough analysis and ensure the market is growing and diversified. Just like the industry analysis, your competitive analysis doesn’t have to be an in-depth report listing every detail about all your competitors. You should focus mainly on your key competitors and their strengths and weaknesses. Importantly, you can use this analysis to identify your current competitive advantages and growth potentials. Beside the strategic plan, you should also develop a comprehensive marketing plan. The marketing plan will give you a clear idea of how you will attract future prospects, turn them into paying customers and maximize your lifetime customer value. In your strategic plan include a summary of the marketing plan. People are the biggest asset in any organization. All the best strategies will fail if the right people are not there to implement. So it is of utmost importance to have the right people for all successes. This section ensures that you have the appropriate human resources to execute on the growth potentials you have identified and accomplish the goals you established for your company in section five of the strategic plan. This section should include a list of your current team members and identify which type of skilled employees you need to hire in the next year to accomplish the company goals. The entire Strategic Plan laid should be partitioned into smaller plans for efficient operational management and achieving the desired goals in time. In war, to capture a territory, the air force will first bombard the enemy lines, then the armored battalion will bombard the enemy lines with tanks and armored vehicles and finally, the infantry would move in to capture the territory with little resistance. It will be a coordinated effort to reach the goal. Similarly, in trying to reach the desired numbers, each function in an organization should perform their duties in coordination with each other such that the targets are met. Operations plan transforms company goals and opportunities into reality. In this section, you should include details of each individual projects and how these projects will be completed to achieve the company goal. Map out each of your initiatives in a Gantt chart to know when each project will begin and who will have the responsibility to lead each team. Having set out the goals theoretically, the Financial Plan (Projections) lays down the same in numbers for measuring and monitoring periodically. All Strategic Plans are drawn to improve the bottom lines of businesses and everyone in the organization should know how much to do to achieve the same. Instead of telling the salesman that he should better his performance if he is told that he should get sixty orders more to meet his sales target, he will understand better what he should do. An effective Management Information System should in place to report budget deviations to top management for timely corrective actions. Daily reporting of results and monthly reporting of consolidated results compared with budget settings for key indicators should reach the top management executives to check whether they are on the right path. Financial projections are the final section of your strategic plan. Financial projections are important in several ways. First, using a financial model, you can assess the potential results for each venture you consider pursuing. Moreover, once you identify the opportunities you want to pursue, the financial projections will aid in lay out the goals. For instance, you will know how many new customers you must bring in at the precise price point to attain next month’s goal. Develop your complete strategic plan each year and update it monthly when the actual results come in and you get more clarity and intelligence how each of your projects is doing. It may not be possible for you to achieve everything stated in the paper, but studies show that having a plan is far better than having no plan at all. Every business knows where to go and the destination. But unless the roadmap is drawn, reaching the destination may be time-consuming and costly. The Strategic Plan of an organization lays down goals and targets and the accepted route to achieve the same. In a business environment where everyone’s interest is to be secured like the Customer, the Employee, the Financier, and the Investor, a Strategic Plan balances activities and directs the business to take the right track to achieve this. When you have a map in hand you can always check whether you are going in the right direction and also correct yourself when you made a wrong turn without much time and money lost.